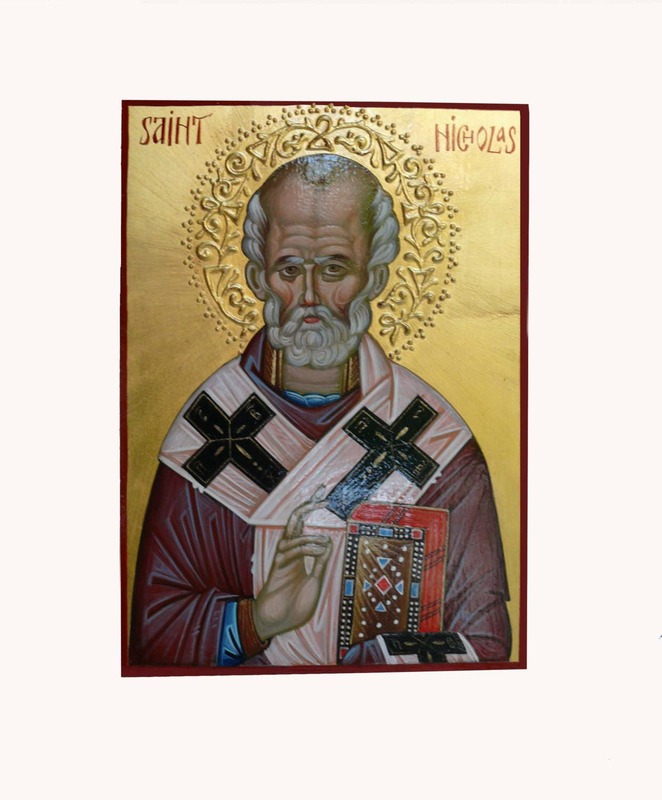 Hand-painted Icon: St. Nicholas the Wonderworker, also called Nikolaos of Myra, was a historic 4th-century Christian saint, Greek Bishop of Myra. 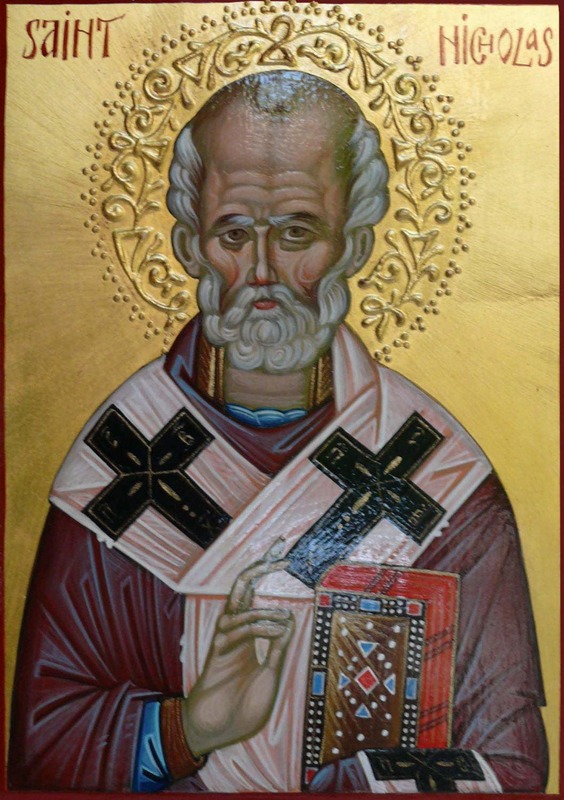 Because of the many miracles attributed to his intercession, he is also known as Nikolaos the Wonderworker. 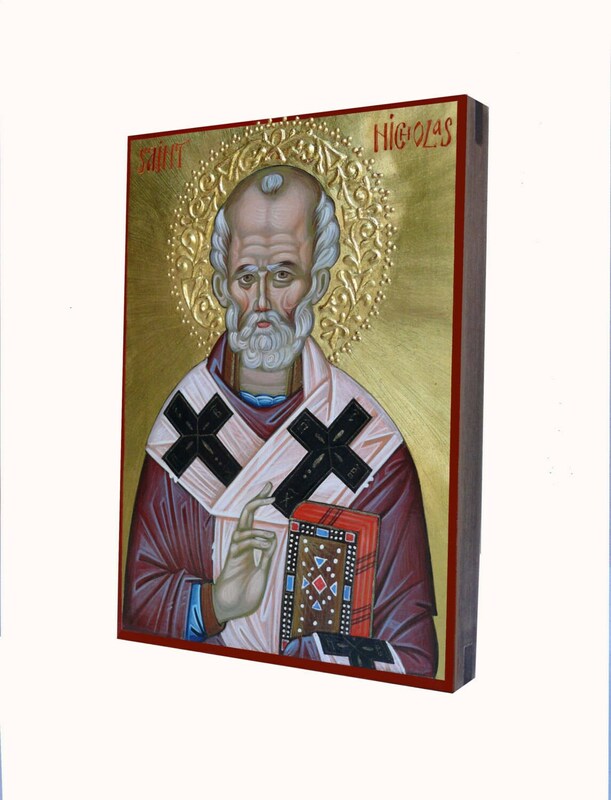 The icon will be painted on a handmade wood panel with tempera on stucco canvas. to assure a long-lasting image and to make it easy and safe to clean it from dust. The back is varnished with darker tone semi-transparent varnish for a nice finish. egg tempera, wood, gold leaf, varnished finish for long-lasting protection. 21 cm high x 15 cm width approximately 8,3 x 5,9 inches. 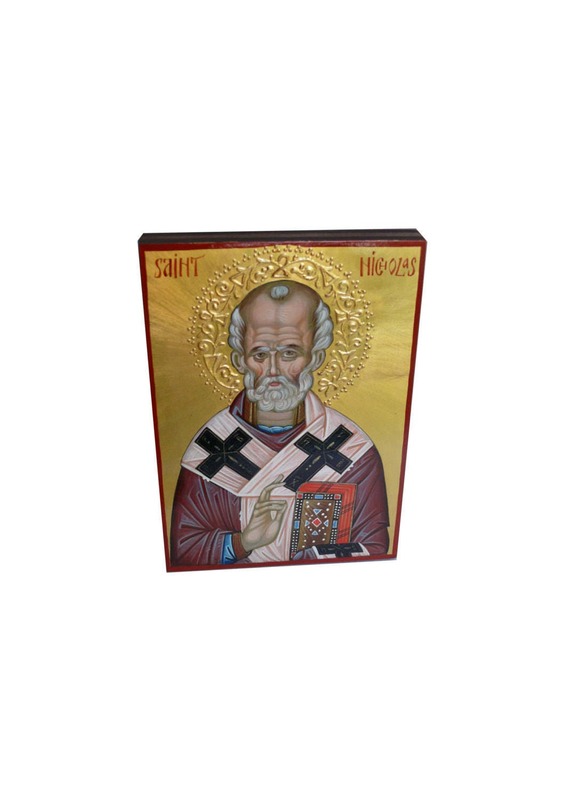 The icon from this listing measures 21 cm high x 15 cm width approximately 8,3 x 5,9 inches. but it can be made on a different size wood panel if requested.